Join us this year for chapter meetings, networking opportunities, and exciting events. On March 6, the 2019 ATDKC Excellence in Practice awards were presented in a ceremony at Boulevard Brewery in Kansas City. Congratulations to all the honorees! Check out all the event photos from the EiP Ceremony here! In 1949, a group of learning professionals banded together to form a learning organization in Kansas City. In 1952, that organization became part of the American Society for Training and Development (ASTD). 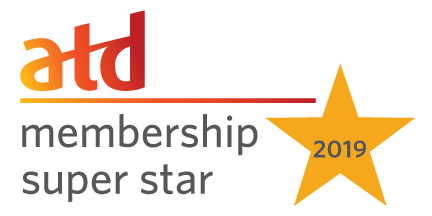 In 2019, ATD Kansas City Chapter celebrates their 70th Anniversary of fulfilling their mission – to promote excellence in the field of learning and development. Celebrations are planned throughout the year, including a toast at Excellence in Practice Awards (EiP), as well as special guests and celebrations planned for the annual Fall Conference. We hope you will have the opportunity to celebrate with us! ATDKC educational programs set the industry standard for cutting edge learning and development. Whether you are a learning and development professional, or a consultant delivering training - ATDKC offers educational programs to meet your needs. Networking, fun and education! Put ATDKC membership to work for you! Engagement with ATDKC members will provide you with the tools, resources and networking to execute your goals and advance your career. Together, we can meet the future head on and make a difference in the organizations we support. ATDKC was formed in 1952 and is a chapter of the Association for Talent Development. Learn more about us by browsing our site!